To freshen up your Friday, how about refreshment for your home and your wardrobe? My girls have both recently started blogs concerning these subjects! Whitney’s is about comforts at home. She posted yesterday about creating an inviting front door. It’s true that sometimes people can be confused about which door they should come to when they arrive at your house. Whitney had some good suggestions about your front door making a little announcement that will help guests know where to enter. Check out her good ideas and pretty pictures. Dressing is an area of life that can be a chore and a bore. We get into a rut of wearing the same pieces with the same other pieces in the same old way. Can you relate? Alli is writing a blog about creating a Cheerful Closet! Now, who wouldn’t welcome that?! She has some great suggestions about accessories, and also adding items to your wardrobe on a budget. Could I encourage you about one other area of refreshment? It’s called hospitality. Think back to the last time you had folks over (other than family members) for a time of fellowship. Maybe it was recently; if so, I applaud you! If it’s been a while, can I remind you about what a blessing it is to invite people in for fun, food, and fellowship? It’s great! Fall is an easy time to plan a simple entertaining menu and have folks over. Fry up canned biscuits in oil, then toss in granulated sugar and you’ll have a doughnut that is worth licking your fingers to finish! Pull out the Uno cards (after everyone has washed the sugar off their hands) and laugh and enjoy some great fun. Keep it simple and everyone will want to come again. The point is, you don’t need a beautiful home that’s magazine-worthy. You just need a simple menu and a heart for others. Obey the command to show hospitality. You’ll be refreshed as you refresh others! Bake for 60 to 80 minutes, ( I baked mine about 40 -45 minutes!) or until done. Top with whipped topping when ready to serve. Pastor Encouragement: Pray that your pastor will be a man of worship and prayer, and that he will lead by example – teaching the congregation how to walk in a close relationship with the Father. Husband Encouragement: When you look at your husband, what do you see? Strong arms? Hairy chest? Firm hands? Big feet? Rugged chin? Wide shoulders? Compassionate eyes? Broad smile? Whatever his physical size, shape, or characteristics may be, the way you see him has a profound affect. Almost nothing is as devastating to a man as the belief that his wife finds him repulsive. Sadly, many women unwisely criticize their husbands’ bodies. Have you ever considered how wonderfully God designed men and women? No matter how a man looks—by the standards of the world — a loving God designed them all, and they are all beautiful in His sight. Encourage your husband today by praising his uniqueness. 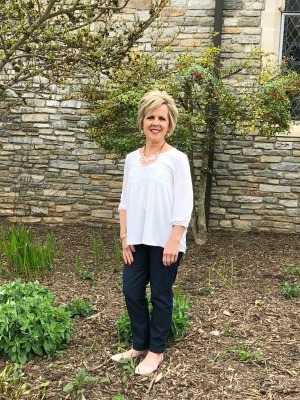 As you look over your husband’s body, from the tip of his toes to his bald or bushy head, thank God that your husband is “wonderfully made,” then admire your husband verbally. Next Post What’s Cookin’ in the Country? Thanks for the shout out! 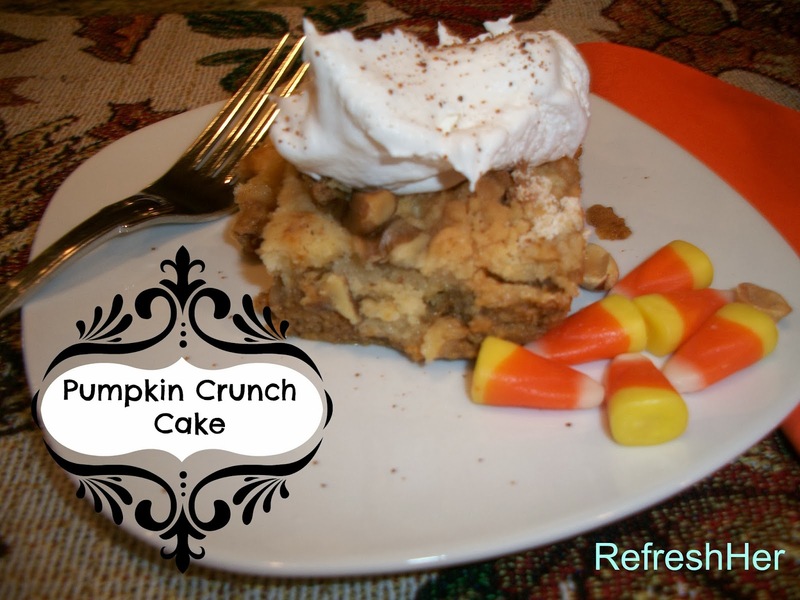 =) I love those pumpkin crunch bars…need to make those soon! Those pumpkin crunch bars look and sound delicious! I'm in the mood for some pumpkin themed food, so this afternoon sounds as good as any for trying your recipe. 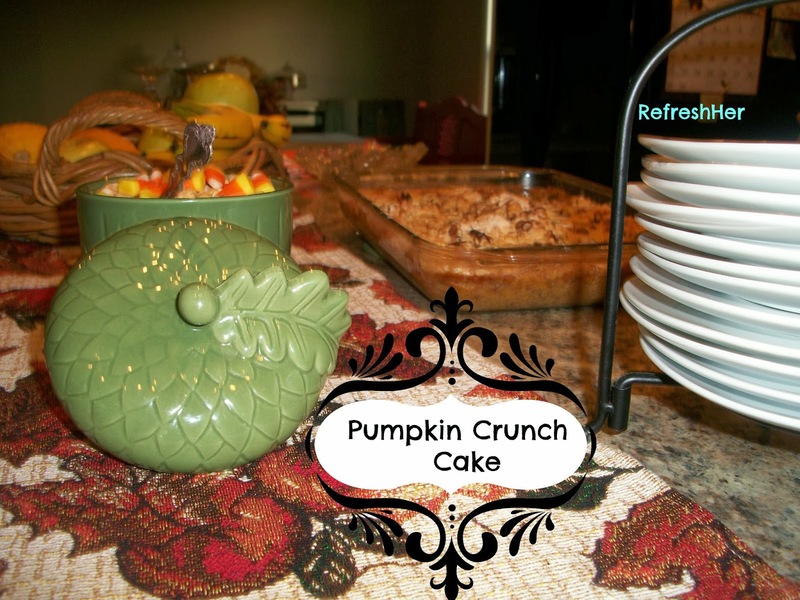 The pumpkin crunch cake has become a new favorite at our house. It is seriously SO delicious! Hope you enjoy it as much as we did! I used to make a pumpkin crunch cake with my Mammaw every fall. Now my mom makes it. What a sweet memory! I've been reading Whitney & Allison's blogs since they started and I've enjoyed them both so much! Christina, What a great (and yummy!) tradition to pass along. Thanks for reading the girls' blogs. I'm their mom, true, but I'm pretty proud! Btw, you are such a blessing to me!